I pulled up and they looked at me suspiciously. I got out of the car and they stood up. I walked toward them and they ran from me. I took pictures and they just stared at me!! 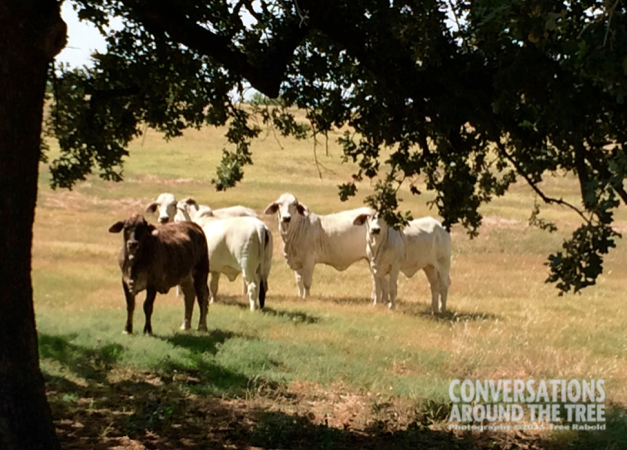 This entry was posted in Uncategorized and tagged 365 photos, brahman bulls, ranch, Texas on August 6, 2015 by treerabold. LOL!! They do look like a Shar-pei! I remember the first time I saw them I thought they were a bit odd too! Now I think they are kinda cute!! I was just going to comment that they looked like weird dogs and then read the Midwestern Plant Girl’s comment. Too funny! Yes!! Poop scooping would take on a whole new meaning! !